Cupcakes 'n Daisies: Details, Details . . . I've gotten some emails asking for more detail on a few pictures I've posted and since I've done very little sewing as of late (what can I say, it's summer) I figured this would be a good time to pass some information along to everyone. I took this picture at an amazing shop called American Quilting in Orem, Utah. The pattern name for this quilt is Barn Railing. 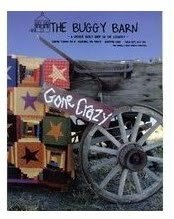 Gone Crazy by folks at the The Buggy Barn. I should have provided this information when I blogged about it, the store deserves the mention and the quilt designers deserve the credit, I'll do better in the future. 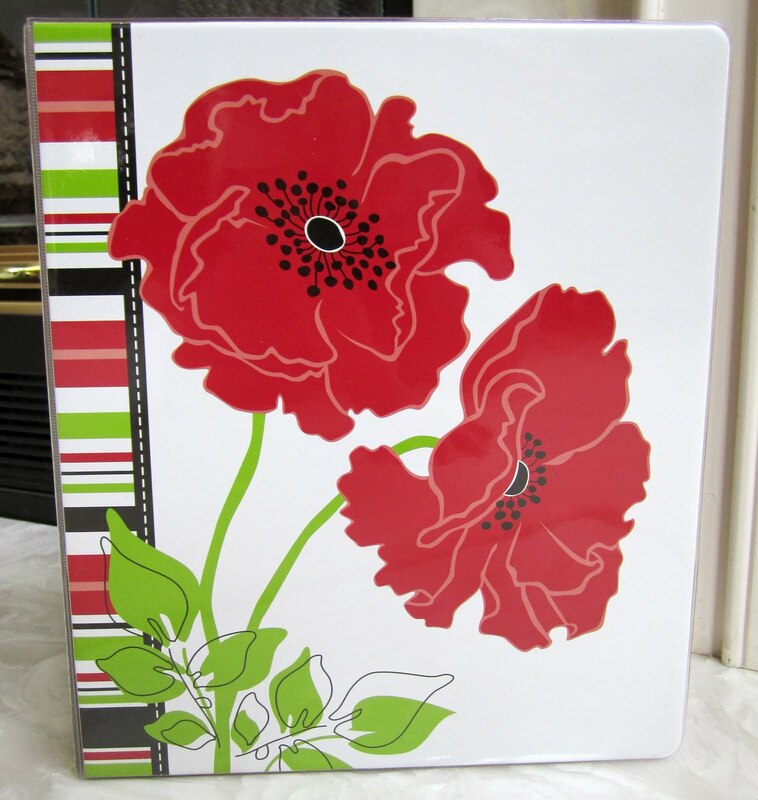 And this binder . . . I picked it up at Staples! 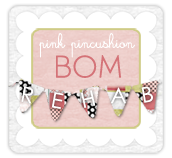 They have the best stuff for quilters, ruler organizers, pattern holders, cool post its and note pads...they act like they're some sort of business supply store, but don't be fooled, that big box store is full of artsy and fun doohickies and the closest thing to a quilt shop that I have in my town! Every now and then I mention that Cooper goes to doggy daycare . . . I hope your summer is off to great start . . .
Never, never listen to rumors. Cooper is more likely class leader than clown! omg, that picture of Cooper is hilarious. I swear everytime you post a picture of him it makes me smile for an hour. 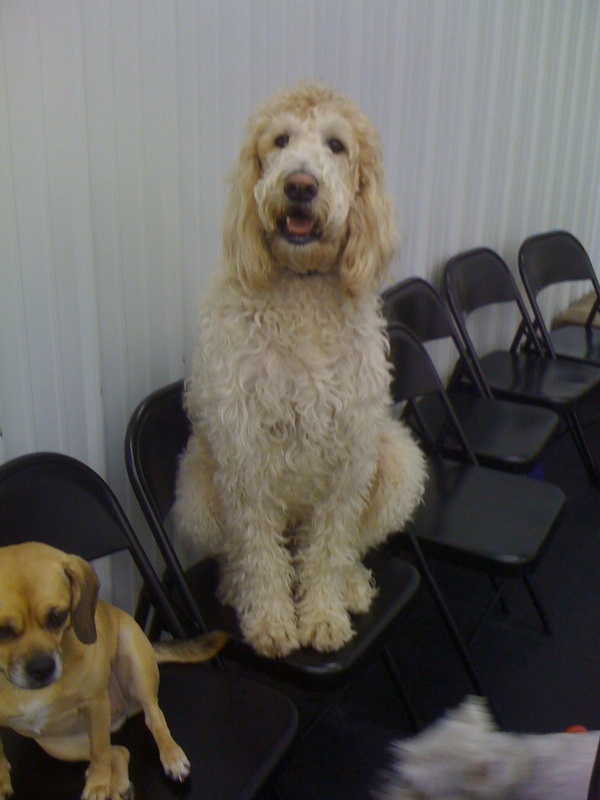 Look at him sitting on that chair waiting for the teacher to say what to do next! Isn't that red and white quilt from Buggy Barn gorgeous? Is it time to do another sew along Thelma???? Maybe just a private one? You and me? I love the picture of Cooper!! What a sweet baby. 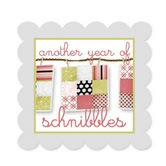 And Staples, oh my goodness, I will have to check them out. I hardly ever go into office supply stores, but I do need a drawer organizer for my sewing table so that may be the ticket. Thanks for the scoop. Cooper is so cute!! I'm sure that he's good when his mom's around. Tillie, however, is the opposite. Bad when mom's around and good when she's not...just like a kid?! Oh Thelma...that picture of Cooper is the cutest one ever. I agree, I think he's the leader of the class! Love it when you post pictures of Cooper! Looks like he has a ton of personality! I have that Buggy Barn book and never thought of making that quilt in two colors. Incredible how the fabric completely changes the look. And about those rumors of Cooper... I bet he could sue for defamation of character. He has that picture to back him up. Honestly he looks like a prim and proper pup! LOL! I love Buggy Barn patterns! 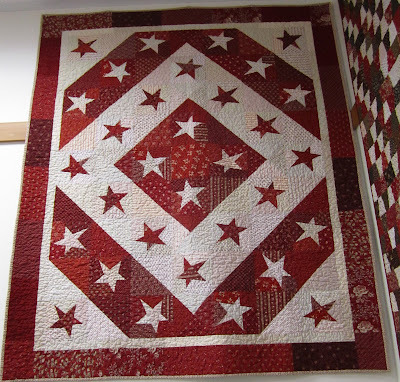 Those stars are so fun... a great pattern for a red and white quilt! Cooper cracks me up! I just look at him and I swear I can hear him talking and saying something funny! He is not short on personality! The French General and the Farmer's Wife . . . .
One More Piece in the Puzzle . . . .
Lazy Days of Summer . . . .
Thelma's Eventide . . . .
More Eventide . . . . There's Drama in the Air, Wild Air . . . .
A Finish . . . .
Last Leg . . .
Virginia's Star Quilt . . . Finished . . .
Merrily I Shopped Along . . .